Winter: Love it or hate it, you’ve gotta get used to it if you live this far north. Come January, many Vermonters are feeling low-energy, tired of being cooped up inside, and desperate for a little sunshine and greenery. In other words, they’re suffering from the Winter Blahs. It’s a real thing. Fighting off this seasonal malaise doesn’t necessarily require a weeklong cruise or a Florida vacation. There’s an affordable local solution that’s both healthy and chic, one that also provides enjoyment year-round. This year, get a houseplant. Or several. Need convincing? 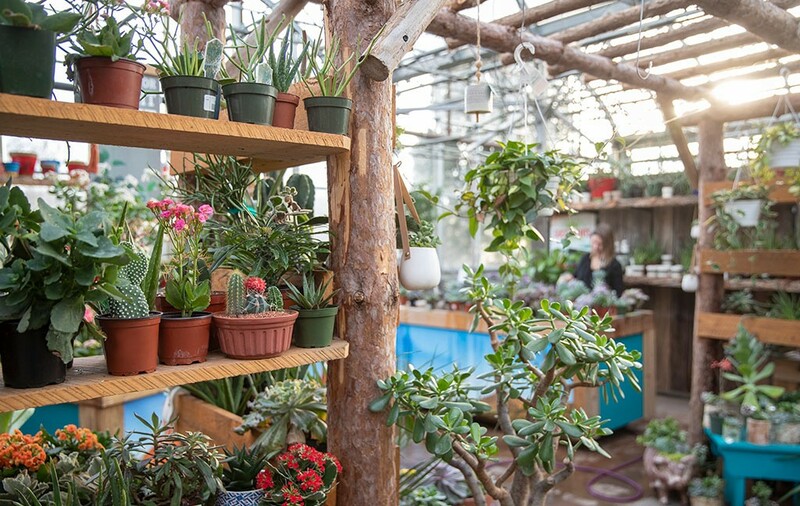 Head to one of Gardener’s Supply Company’s Garden Centers. You’ll find a large selection of indoor plants, as well as experts who can help you select the right ones for your needs. Just being immersed in the lush greenery there will do you good. That’s because humans have a positive physiological reaction when surrounded by nature, said Williston store manager Becca Lindenmeyr. Visiting Gardener’s, I could feel my body relaxing. Seeing all that green and breathing in the warm, moist air brightened my mood. Indeed, a growing body of research shows that plants reduce stress, lift spirits and even improve indoor air quality. 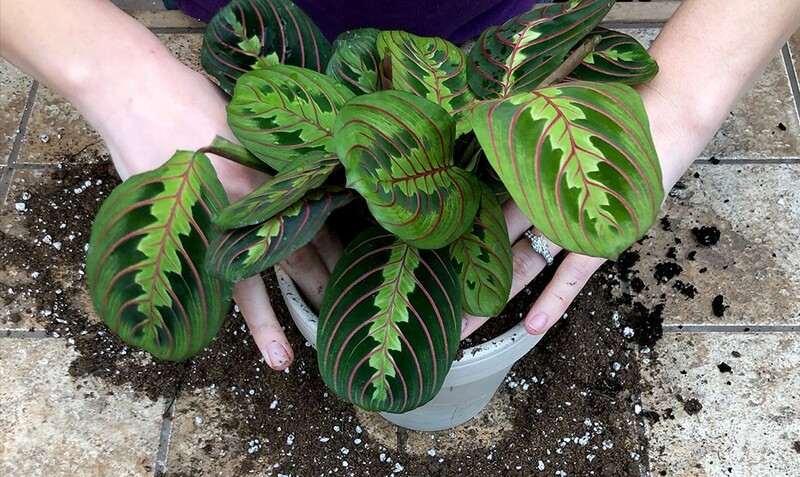 An article on the Gardener's Supply website, called "Make a Home for Houseplants," compiles some of this research. 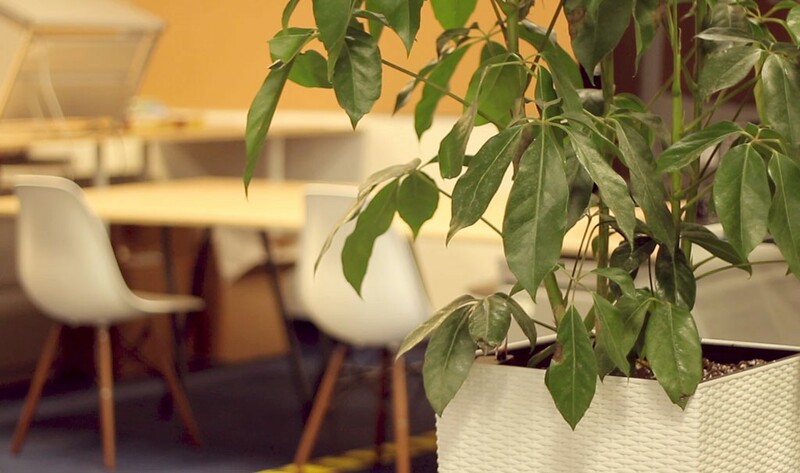 For instance, it cites studies showing that being surrounded by nature helps reduce mental fatigue, and others noting that just a few plants at home or work can enhance mood, sharpen focus and increase productivity. Houseplants have also been proven to improve air quality by absorbing certain airborne chemicals. One medium-size plant in an average size room can improve the air quality by up to 25 percent, filtering out benzene, formaldehyde and carbon monoxide — often present in common paints and furniture finishes. Good choices include the rubber plant and philodendron. Research also suggests that the more plants you have, the happier you’re likely to be. Houseplants are an inexpensive way to decorate, too. Millennials looking to connect with nature are finding that plants fill decorative and emotional needs — especially in environments that lack natural greenery. Google “houseplants and millennials” to see tons of articles about these newly minted adults turning their often tiny homes into lush, urban jungles. Sounds great, right? But what if you don’t know the difference between a fern and a succulent? Gardener’s has you covered. 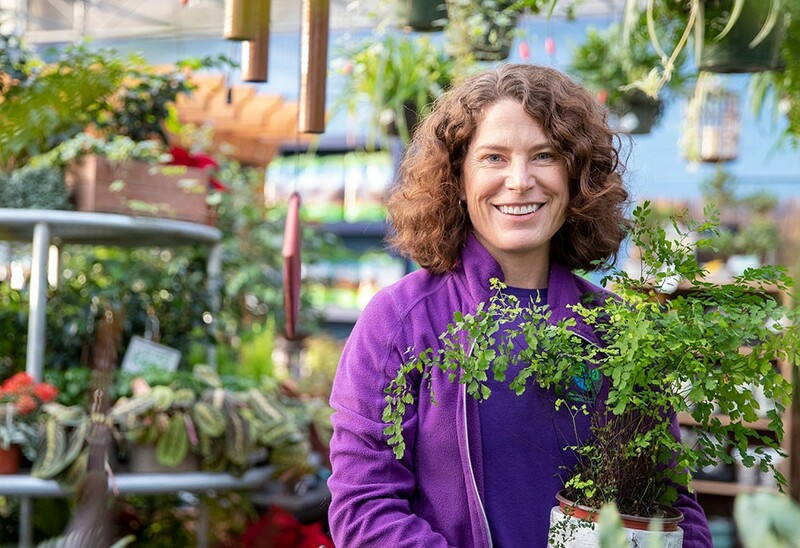 Anyone who comes to the Williston store seeking plants for a particular space will probably talk with horticulturalist and greenhouse associate Ellen Bortner. Worried about killing your new therapy plant? Join the free Gardener’s Club. Members qualify for a three-month houseplant guarantee, as well as advance notice of sales and special events. Gardener’s will also repot your plants for free and advise you on plant care. If you’re so inclined, you can also take one of Gardener’s plant-care classes. Bortner also addresses aesthetics with customers. For example, if someone has bright light and is looking for low-maintenance plants, she’ll suggest cacti or succulents; somebody else might want something leafy and green, such as a peace lily or fern. “A lot of people have this vision of a large, beautiful or tropical tree; others want something smaller,” she added. For those seeking a little more support, Gardener’s recently launched an interior plantscape service division. 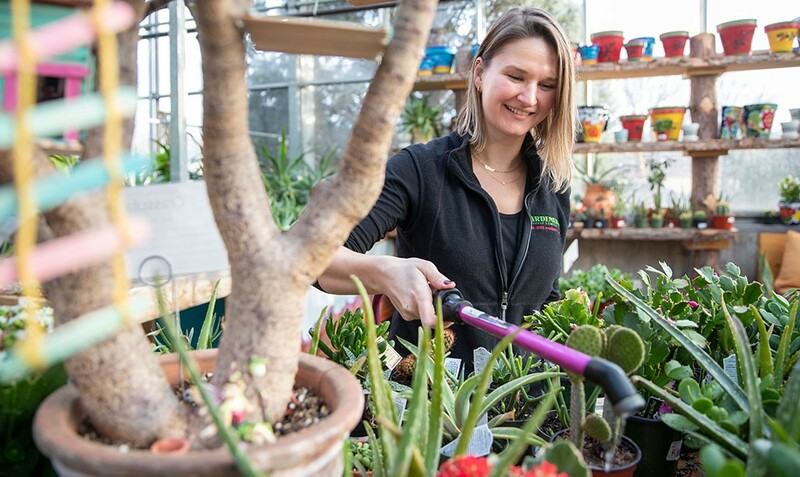 Instead of coming to one of its garden centers to research plants, you can now have Gardener’s staff come to you — whether that’s to your home or office. Gardener’s can also maintain the plants or offer maintenance instruction. When Vermont Teddy Bear reorganized and renovated the interior of its Shelburne headquarters, Gardener’s led the staff through a series of classes — “a company planting party,” said Cassandra Clayton, Vermont Teddy Bear’s product designer — during which employees made terrariums for their desks. Vermont Teddy Bear also wanted the space to feature larger plants. During a process that took three to four months, Gardener’s and Vermont Teddy Bear held several meetings to discuss the best choices for the space, which doesn’t have a lot of natural light. “We wanted low maintenance,” said Clayton. “We also wanted them to be big plants.” Gardener’s ended up ordering and installing them. Vermont Teddy Bear is part of a growing trend of businesses — think Apple, Google, Facebook, Samsung, YouTube, and Kickstarter — adding plants to offices to bring nature inside, said Lindenmeyr. 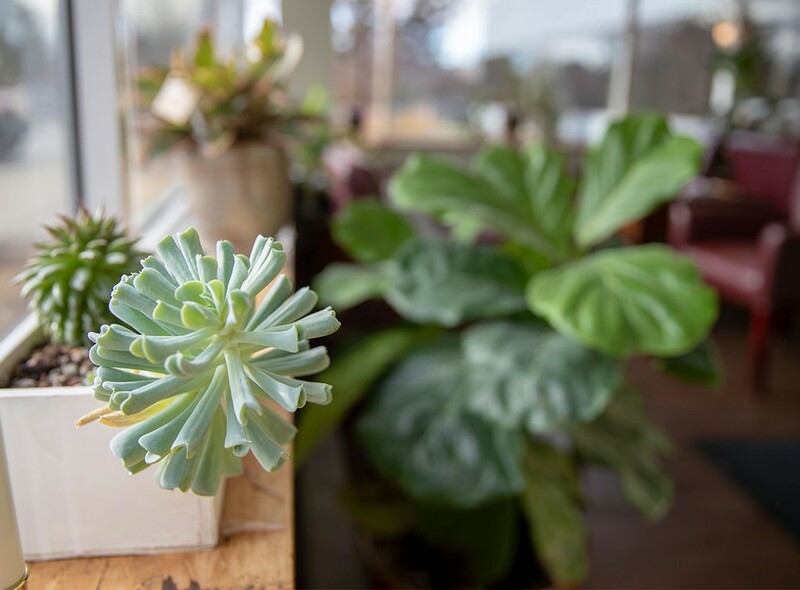 To learn more about house plant care, check out Gardener's Supply's upcoming classes including "Houseplants 101" on Saturday, January 19. Click here for the current sales and promotions. This article was commissioned and paid for by Gardener’s Supply Company.